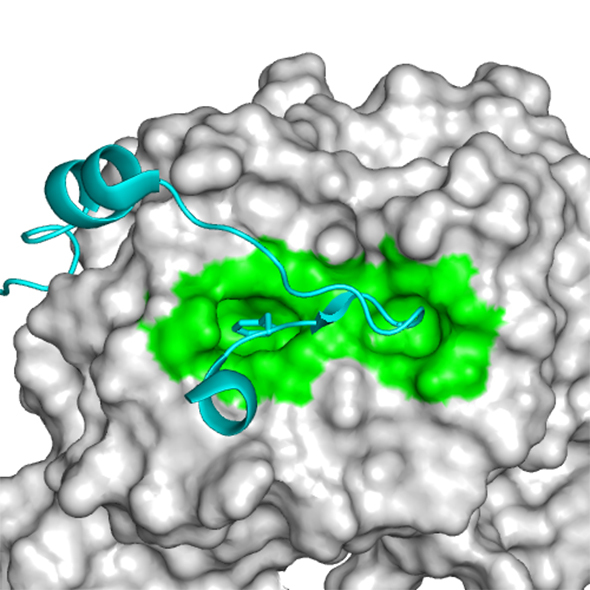 We have used fragment-based approaches to target a number of protein-protein interactions. These interactions are considered challenging to target. However, we have had a success in targeting a number of these. These projects were funded through the Wellcome Trust (Seeding Drug Discovery Awards, Translation Award and Strategic Award). We examined the polo-box domain (PBD) of polo-like kinase (Plk1), a valid anti-cancer target whose phosphorylation-dependant protein-protein interactions are crucial for successful progression of cell mitosis. We examined this PPI using an array of biophysical techniques and identified a novel binding site. This research was in collaboration with Dr Marko Hyvönen and Professor David Spring at the University of Cambridge. We used a fragment-based approach to target the FXXA protein-protein interaction binding site on RAD51. We initially identified a number of fragments which bound to the Phe pocket and from these we were able to develop a number of small molecules inhibitors to disrupt this interaction. This research was in collaboration with Dr Marko Hyvönen, Professor Tom Blundell and Professor Ashok Venkitaraman at the University of Cambridge. We used a fragment based approach to target an allosteric site of the protein-protein interaction between Aurora A and TPX2. We identified a number of fragment hits which were elaborated to develop small molecule inhibitors to disrupt this interaction. From crystal packing to molecular recognition: prediction and discovery of a binding site on the surface of polo-like kinase 1.